The OEM +65V supply has been well documented over the years as being an area of the display system that is constantly being rebuilt. For this circuit, it is not a question of if it will fail, but when! Our new XPin™ XP-WPC95HV is designed to plug directly into the same headers used for the AC voltage coming into the WPC Audio/Visual board in WPC95 series games and the associated output voltages that would be passed back to a OEM Plasma DMD. 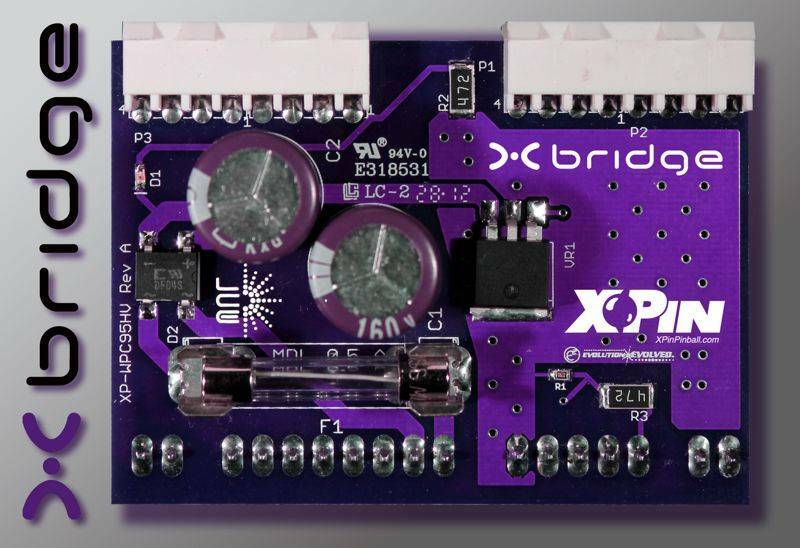 Since it is primarily designed for the XPin™ XP-DMD4096 series displays, it is only going to generate the +65V necessary to power the display.